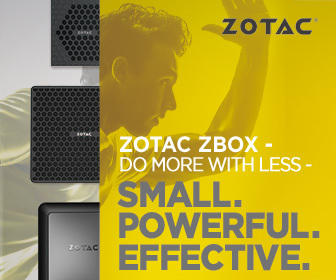 ZOTAC International, a Hong Kong based and a global manufacturer of innovation, today announced the launch of the premier compact gaming rig from our newly-established brand – ZOTAC GAMING. Solely built for enthusiasts who Live To Game, the MEK1 Gaming PC harnesses future technologies and represents an overpowering presence and commands you to take control, respond crisply to every action, and game at the limit. ZOTAC GAMING kicked off the launch of the MEK1 Gaming PC with a global launch event in Hong Kong with a live unveiling. MEK1 Gaming PC advances ZOTAC’s 10 years of engineering mini know-how to be one of the smallest desktop gaming PC, and it still utilizes industry standard components for powerful gaming performance in a sleek and futuristic design with a powerful ZOTAC GeForce GTX graphics card, the latest Intel Core CPU, beautiful SPECTRA lighting system, fast DDR4 memory and large and fast storage. All the fast and powerful features in an ultra-slim and compact chassis. Measuring only 414 x 118 x 393 mm, MEK1 boasts modern design and beauty in the smallest footprint. With a design themed after future robotics and mechanical anatomy incorporating strong sculpting lines and soft lighting, MEK1 breaks from he traditional to be the best looking and most compact piece of PC gaming hardware.ENVISION THE NEW REALITYMEK1 enables you to play all of today’s AAA PC Gaming and VR titles in rich detail and high resolution depth, thanks to the ZOTAC GeForce GTX 10 series. MEK1 houses an Intel Core processor manufactured on a new 14nm process for 4K/UHD gaming and entertainment. With all the cores and energy efficiencies of the processor, MEK1 is set to deliver the perfect gaming performance. Loaded with the latest in storage technologies, MEK1 lets you experience blazing fast NVMe storage and send load times. With a secondary drive for large storage, MEK1 covers both fast and large storage demands. MEK1 is the perfect design and fit for all gamers. MEK1 features the embedded full-body SPECTRA lighting system that shines day and night to enhance the design and presence. Customize MEK1 with the easy to use, newly designed ZOTAC GAMING Spectra utility to make t ours with a wide-spectrum of colors, multiple lighting modes, and 8 levels of brightness. Or simply go dark and disable it all. With an onboard module, et the lighting once and it’ll come right back when powered on. Reign over the ultimate set-up with a full-size LED-lit mechanical gaming keyboard, LED-lit optical gaming mouse with an adjustable DPI setting for the perfect mouse control, and a perfect sized gaming mouse pad with edged stitching for extended comfort and precision glide surface.